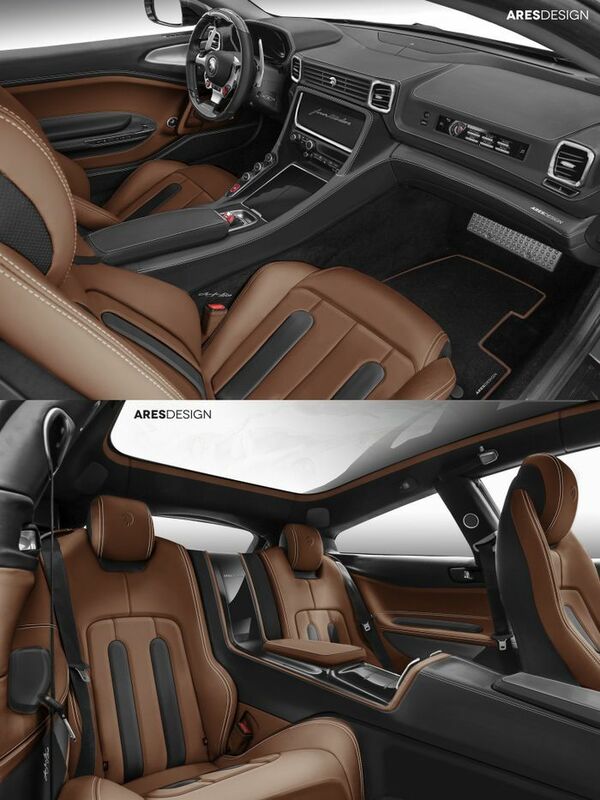 Ares Design, the company that has developed coachbuilt adaptations of the Mercedes-AMG G-Wagen and Lamborghini Huracan, the latter called the Panther in honour of the De Tomaso Pantera, has come up trumps again. 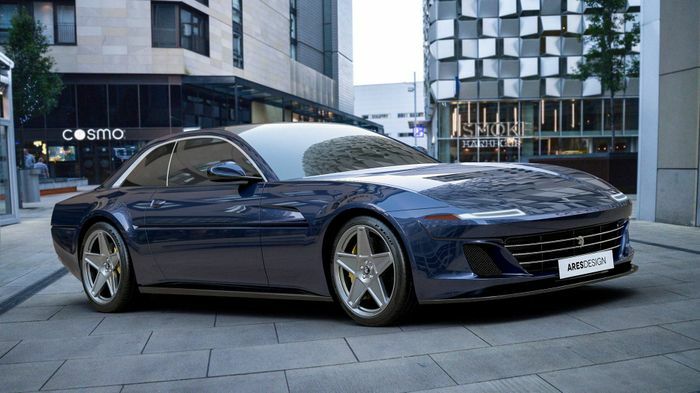 The firm has revealed a two-door, four-seat super-GT based on Ferrari’s GTC4Lusso. Inspired by the 412, which itself followed on from the 365 and 400, the car Ares has dubbed ‘Project Pony’ has a distinctly mid-1980s vibe about it. And yes, it does have pop-up headlights. 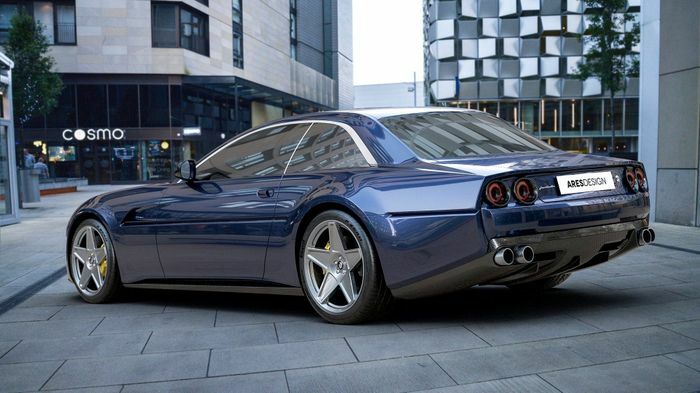 While the old 412 used a 4.9-litre Colombo V12 with 335bhp and a choice of manual or automatic transmissions, Project Pony uses an unaltered drivetrain from the GTC4Lusso. That means a 6.3-litre normally-aspirated V12 good for 680bhp and 514lb ft, along with performance that at least matches the standard car’s 208mph and 0-62mph in 3.4 seconds. Ares likes to make its bodywork lighter than that which it removes; the panels here will be super-light carbonfibre. Switching the shooting brake style back to a traditional three-box shape makes the Ares creation especially distinctive in today’s marketplace. The combination of that style and Ferrari-inspired styling including stunning five-spoke alloys is a joy to behold. On the inside the donor car’s finish has been replaced with Ares’ own interpretation. Black and brown leather with white contrast stitching looks great in combination with the redesigned dashboard. The two rear seats are deep and sporty-looking. Just 576 original 412s were made and the recreation promises to be no more common. 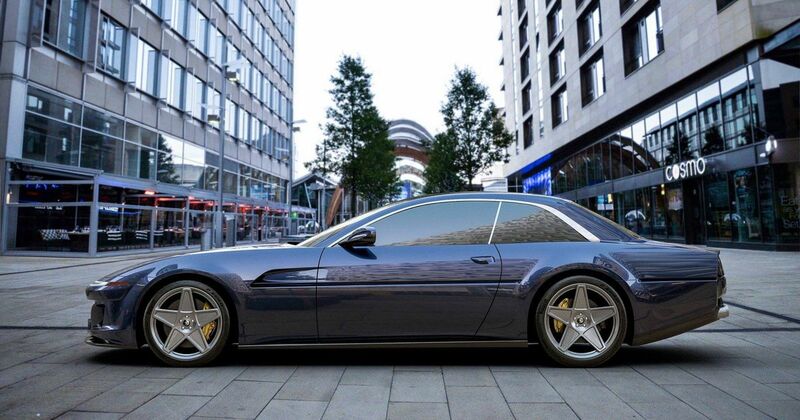 At an expected European starting price of over €650,000 it’s about double the price of a standard GTC4Lusso.